There are few things that taste more like Autumn than a crisp, juicy apple. 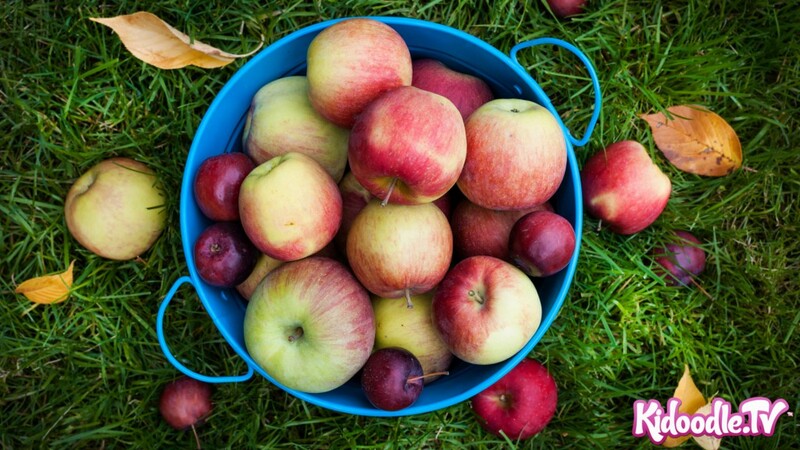 Visiting an apple orchard is a fun family activity that embraces the Fall season. Often, a visit to the orchard results in more apples than a family can consume. Thankfully, apples store quite well and there are many delicious ways to enjoy your apple bounty. Reminiscent of the flavor of an apple fritter, this delicious apple cake from Home to Heather is perfect as an afternoon snack with a frosty glass of milk or a cup of coffee (for the adults of course). Enjoy the flavor of Fall all year around by making this easy slow cooker apple butter. It is perfect spread on a hot piece of grainy toast. Either can or freeze in glass jars to enjoy later. It also makes a great gift. Not all apple recipes require baking (or to be smeared on something baked). 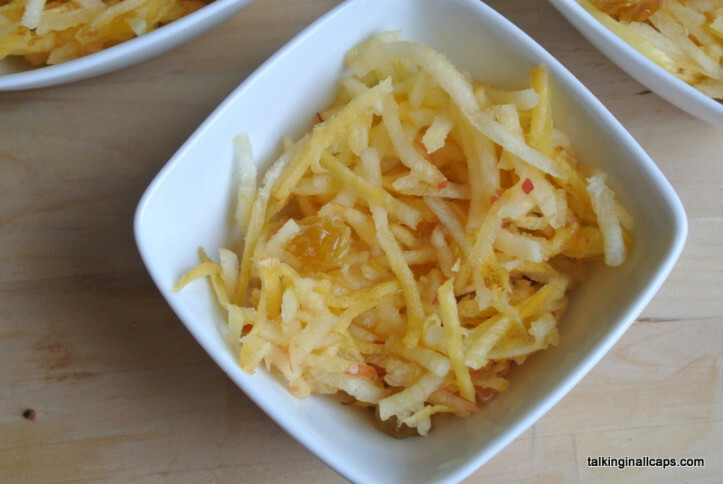 Try this light and refreshing carrot, raisin, apple salad of Danish origins from Talking in All Caps. 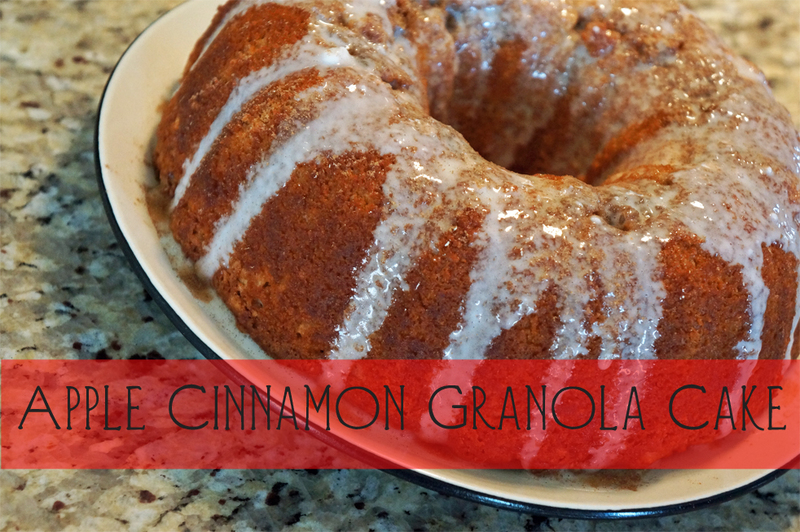 There are few flavor combinations that go together as well as caramel and apple. Unfortunately, caramel apples can be a bit hard on your teeth! Thankfully, Inside Bru Crew Life brought this delicious flavor combo together in a caramel apple cookie bar. We can’t wait to make these for Halloween. 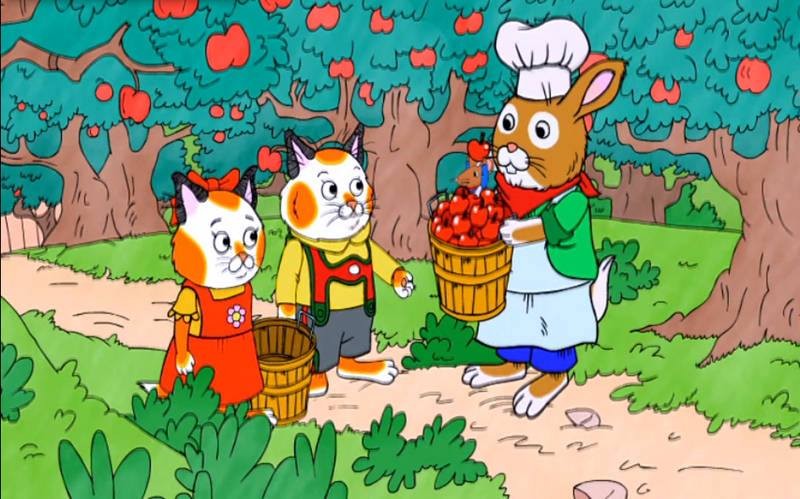 While you are preparing your favorite apple treat for your family, entertain you children with apple picking fun on Kidoodle.TV. As always, there are episodes for every time of year on Kidoodle.TV. Season 1, Episode 23 Huckle! Where’s My Apple Car? – Parking his famous apple car beside Granny Good-Pig’s Applesauce stand, Lowly joins Huckle and Sally in the orchard, picking apples for Granny to practice her fast as lighting peeling skills. However when they bring the apples to her, they discover a haystack sized pile of apple peels and no apple car! Huckle, Lowly and Sally follow the clues which ultimately lead them back to Granny’s stand where Huckle puts them all together and solves the mystery by determining the apple car has been there the whole time – under Granny’s haystack sized peel pile!